Inner City Hope USA is an inspiring new program offering high school computer programming and design courses to America’s inner city youth to help guide them towards high-paying and meaningful careers in the tech industry. For the launch of their pilot program, The Booker Project at Booker High School in Sarasota, ICH USA chose Treehouse as the primary learning resource to teach 40 high school students to code. We caught up with Sam Pereless, CEO of ICH USA to hear more about the program, the students’ progress and the experience of bringing Treehouse to the classroom. Booker High School’s Coding Program is not only keeping students in school, but equipping students with the necessary skills to gain meaningful employment immediately following graduation. 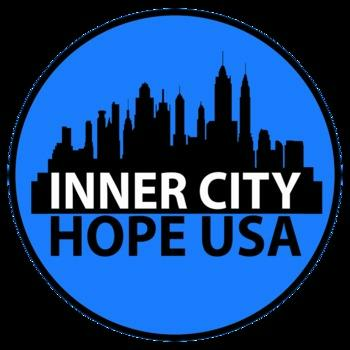 Tell us a little about what Inner City Hope USA is and The Booker Project? ICH USA is an educational and patriotic movement, our mission is to offer high school courses in computer programming that can lead to high paying and meaningful employment to our inner city youth who may have otherwise been ignored or forgotten. ‘The Booker Project’ is our Pilot Program at Booker High School located in Sarasota, Florida. We took Treehouse outside the box and into the classroom, teaching over 40 Students how to code. Inner City Hope USA is currently using Treehouse to teach students in the classroom. Tell us a little about why you chose Treehouse as the primary learning resource. Our staff at Inner City Hope USA recognizes Treehouse as one of the top online computer programming courses for their extensive library of courses. Treehouse makes learning exciting and fun for students with its interactive curriculum. We believe Treehouse maximizes student productivity in learning how to code. How have the students felt about the learning experience with Treehouse? "When I was presented the opportunity to partner with Inner City Hope, I leaped at the chance because I’m convinced that this program will equip students with career readiness skills. While I was excited about offering the Coding Program to ensure students would graduate from Booker High School with a meaningful employable skill, I had no idea that this program was going to be highly engaging and keep students in school! Booker High School’s Coding Program is not only keeping students in school, but equipping students with the necessary skills to gain meaningful employment immediately following graduation." Which have been the most popular courses or topics for the students? Building their own website was the most popular course. Many of the students are now looking forward to creating their own apps. What has the value of a Treehouse education meant to the students taking part in The Booker Project? Treehouse works because it has all the resources you need under one platform. However, I think the true magic for these students was the feeling of something fresh and different than their ordinary classes, it was a step into the future for them. What are the plans for the future of the ICH USA? The experience we’ve gained and will continue to gain on our work with the Booker Project leads us to the conclusion that Treehouse was designed to teach students on an individual basis, and what we have done with The Booker Project was to use a facilitator trained in coding to be the bridge between the students and Treehouse. With Treehouse as our preferred ‘Operating System,’ we can bring a standard for Computer Programming Education across the nation. If you’re interested in hearing more about ICH USA, The Booker Project, or the experience of using Treehouse in the classroom, please reach out to Sam and the ICH team at www.innercityhopeusa.com.